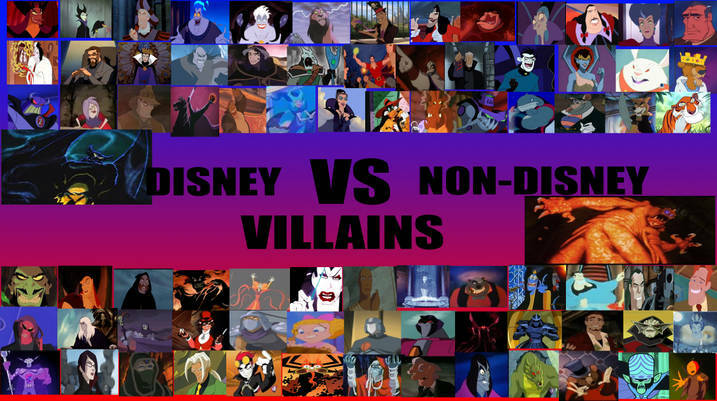 Disney Villains vs. Non- Disney Villains. . Wallpaper and background images in the Childhood Animated Movie Villains club tagged: photo villain villians disney non disney animated. This Childhood Animated Movie Villains photo might contain anime, truyện tranh, phim hoạt hình, and manga. hàng đầu, đầu trang 6 Prettiest Villainesses..